Please, if you want to get into UNSO roles, report this in the replies to this topic. This clan is for Ukrainians and not only, we are glad to see everyone who is confident in their adequacy and readiness to work in a team. UPD: We are not fascists, not agezhists, not sexists, not anti-Semites, not everything else is bad, that is. WE ARE LIBERALS !!! Last edited by Mineral; 2019-04-01 at 08:43..
UNA UNSO aka OUN UNSO, UPA ( the Bandera and Shuchevich organisation) have been responsible for mass killing of Jews, Poles, Ukrainian and Belorussians (civil population), Soviet prisoners of war. 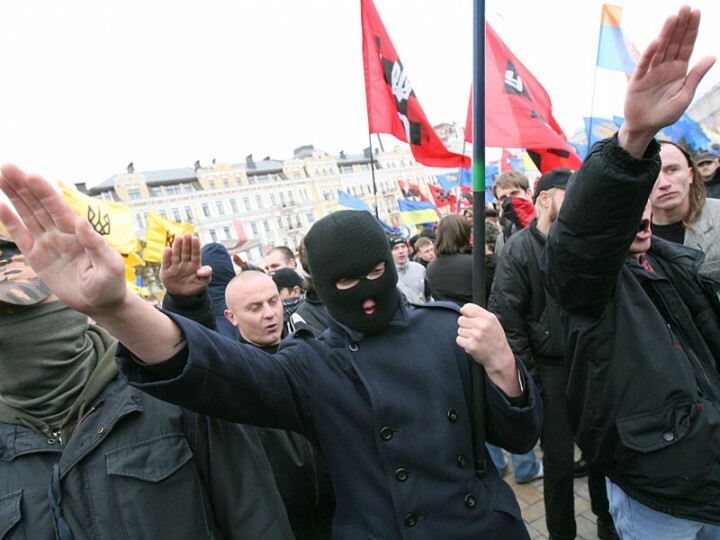 UNSO was recreated in 90s after USSR fall, as small time neo-nazi far right organization with para-military training camps in the woods made up of people of nationalistic mind, but after the recent Ukraine revolution in which they were used as main organized fighting force, they became an official political ultra nationalist party connected with "Right Sector" in Ukraine, now holding influential power in the country's politics. I'm having hard time imagining them as liberals per your words, especially in the light of recent events when Gay pride parade in Kyev was attacked and beaten by the members of UNSO group. And the photo from your website, these armed dudes running around in the woods lol, you one of them? Being patriot of your own country is all good and dandy, but bringing politics into gaming community is a bad taste. You should've named your clan differently, without connecting it to the current existing political party and para-military group with dubious history and extremist nationalistic views. Its as bad as if when some crazy russian would post Skinheads rus clan for PR gaming and call himself liberal in PS. Your call though. Last edited by Hokunin; 2019-04-01 at 08:38..
With what hokunin and others have said, we believe it's generally a bad idea to connect politics with gaming. And knowing PR community a bit, this is likely not gonna go well . And given our forum rules we'll lock this thread and remove links.